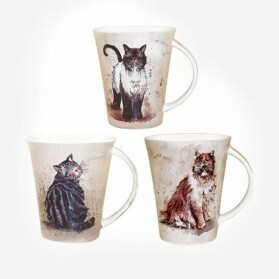 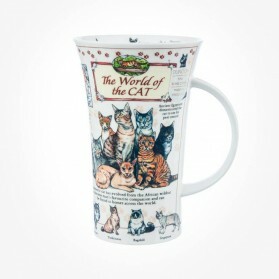 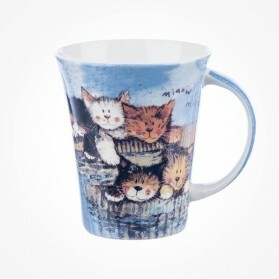 Bone China Cat Mugs There are 40 products. 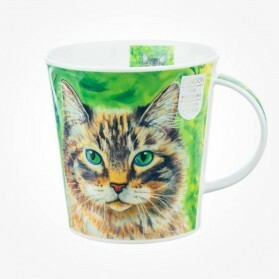 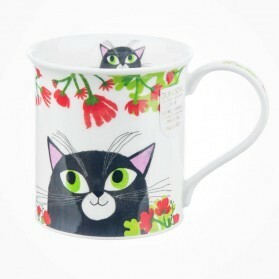 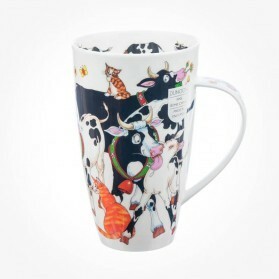 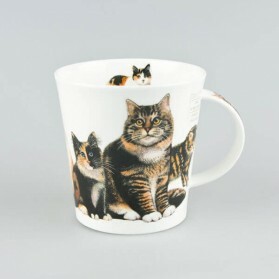 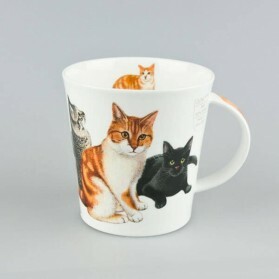 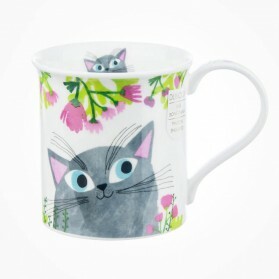 Chloris Tableware UK stocks a wide range of cat mugs featuring from realistic photos, animated designs, fun looking cats, with different kinds of cat. 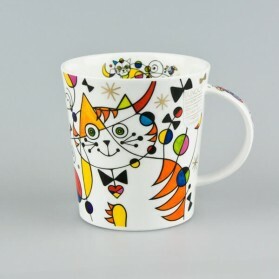 Those are all designed by famous artists in the UK our selections are entirely based on customer feedbacks as well as shopping habitation of our clients. 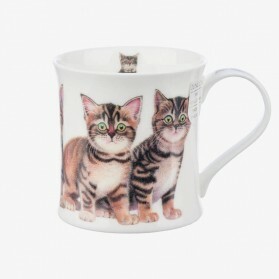 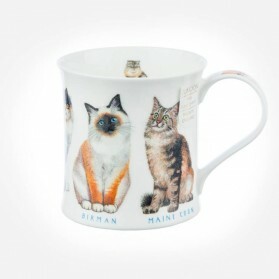 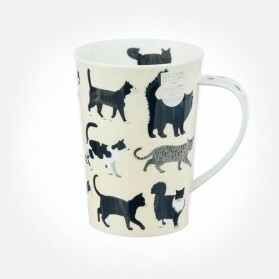 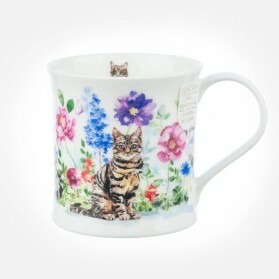 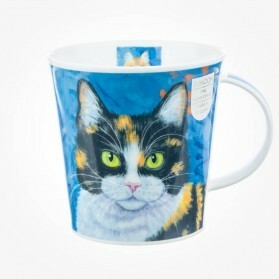 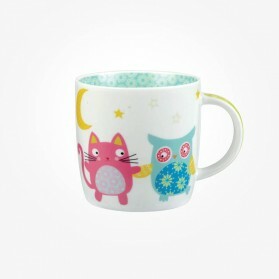 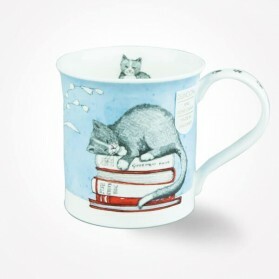 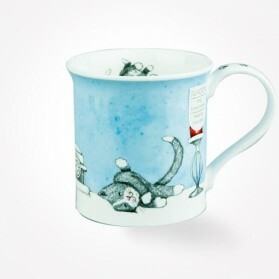 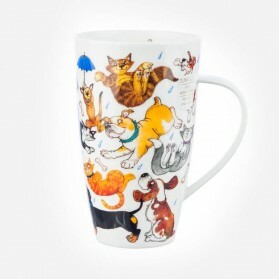 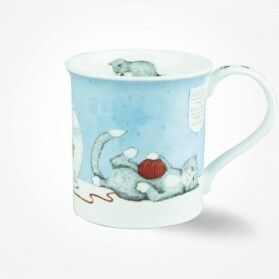 Fine Bone China Cat Mugs UK are the most favourite and selections for a gift item to cat lovers. 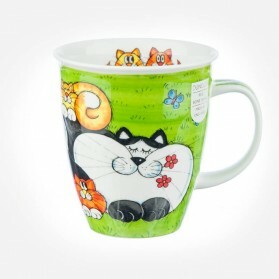 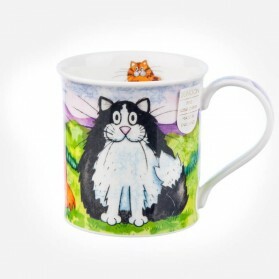 Our desings feature from real looking cats, kittens, down to sketch, painting artist lookings and much more variation avialable, Hope you find right cat mug from our wide selection. 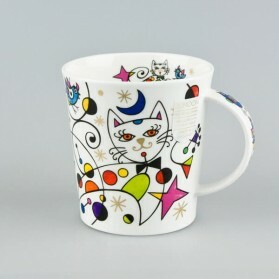 One of 3 designs can be chosen on demand. 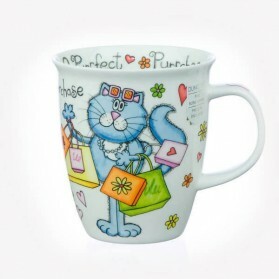 Leave us a message about what you want when ordering and checking out. 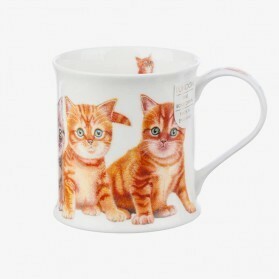 Charming cats, predominantly ginger in colouring will be the theme for this mug from Dunoon. 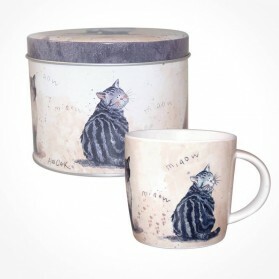 The beautiful animals sitting, looking and posturing in the fine bone china mug are illustrated in a realistically painted style like a real, and this high-quality cup would generate a lovely gift, especially for cat lovers. 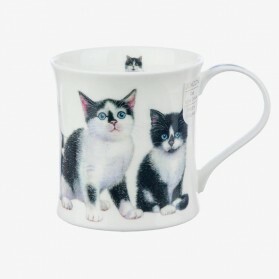 Charming cats, predominantly black & White in colouring will be the theme for this mug from Dunoon. 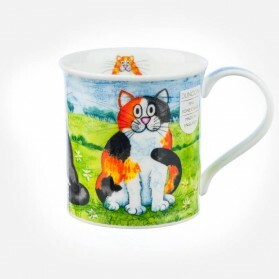 The beautiful animals sitting, looking and posturing in the fine bone china mug are illustrated in a realistically painted style like a real, and this high-quality cup would generate a lovely gift, especially for cat lovers. 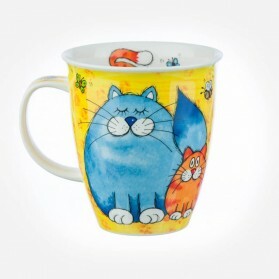 Charming cats, predominantly Tabby in colouring will be the theme for this mug from Dunoon. 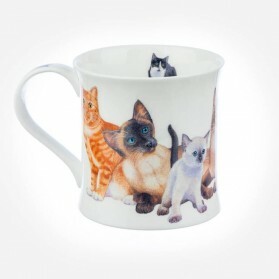 The beautiful animals sitting, looking and posturing in the fine bone china mug are illustrated in a realistically painted style like a real, and this high-quality cup would generate a lovely gift, especially for cat lovers. 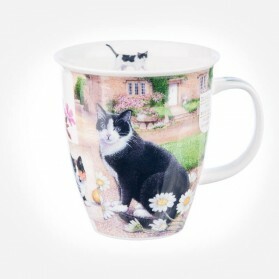 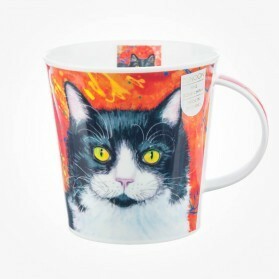 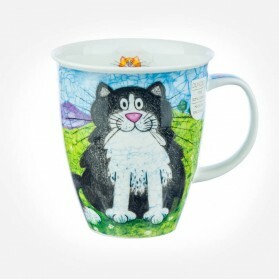 The funny cat mug depicting the Black & White cat is a theme of the beautiful fine bone china mug. 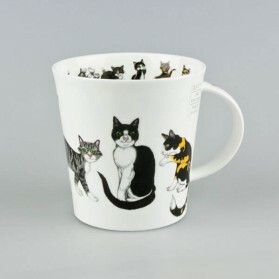 The cute animals sitting, looking and posturing are illustrated in a pen sketch painted style like a real, and this high-quality cup would generate a lovely gift, especially for cat lovers. 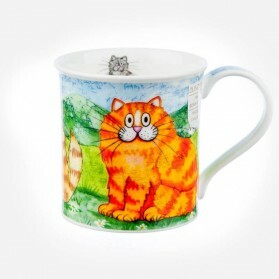 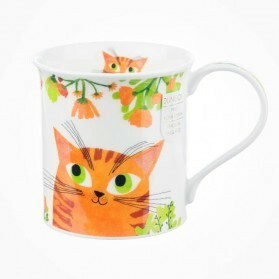 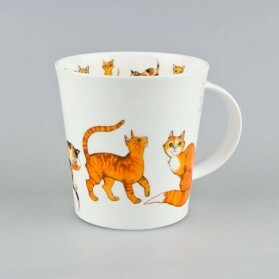 The funny cat mug depicting a Ginger cat is a theme of this fine bone china mug. 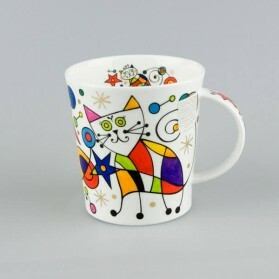 The cute animals sitting, looking and posturing are illustrated by a pen sketch painted style like a real, and this high-quality cup would generate a lovely gift, especially for cat lovers. 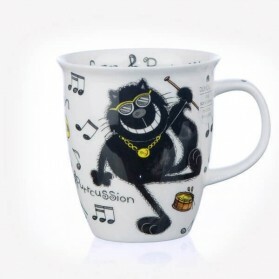 This mug 'Purrcussion' features two ‘purrfect’ cats on the mug, surrounded by scattered musical notes inside outside on a Fine Bone China. 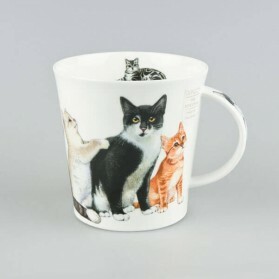 This funny look mug is greatly ideal for gift just about anybody cat lover.